I never knew how often Vanagons got stolen til I began seeing all of the “STOLEN VAN” announcements that were being posted on Facebook and thesamba.com. Granted those were mainly in the Pacific Northwest and I’m located in Texas but still! It really freaked me out and I was/am totally paranoid by it. Lol. I’ve added several theft deterrent and theft recovery items to my own van and it would be counter productive to list them all and detail how I installed them. Even with that said I have chosen to share this one method in order to help our community in theft recovery. We often times buy accessories for our vans in order to make them more comfortable and I’m asked this question a lot: What mod should I buy first? My answer is always: A GPS Tracker. This SPOT Trace device is so very inexpensive to purchase and to maintain that it’d almost be foolish not to invest in one. In fact if you’re in the Pacific Northwest and don’t own one of these then it’s very foolish. As often as vans are stolen in the PNW you will not regret owning one of these trackers. Sure it’s not as glitzy as adding an auxiliary battery system or a solar panel but this device will help pin point your Vanagon if its ever stolen. That peace of mind is worth it! The SPOT Trace device itself costs about $99 and is about $99 a year for service. That’s a measly $8.25 a month for this service. Heck that’s cheaper than my monthly Netflix subscription and Netflix won’t help me track down my van if it’s ever stolen. The 12v hard wire cable kit is extra. One of the best features about this device is its size. You can almost place it anywhere in the van without it being found very easily. There are so many hidden nooks and crannies in the van that finding a place to stow this SPOT Trace device will be easy. There are two ways to power this device. Method #1 is by way of 4 AAA batteries in the device. Method #2 is by way of a hard wired power supply that ties into your van’s 12v battery system. If you choose Method #1 don’t worry, the device has a built in alert system and it will notify you via text message and/or email letting you know when the device’s batteries are low and are in need of changing. If you choose Method #2 and hard wire your device into the 12v system there’s an added bonus. If you also add 4 AAA batteries to the device the device will run itself via the 12v hard wired cable and if the power is ever cut, the device will automatically switch over to it’s internal battery power. This is a MAJOR advantage. No need to worry about swapping batteries every 2-3 months depending on how often you travel in the van and how often the device tracks waypoints. What’s also pretty cool is that the device is so small, measuring in at about 2″ x 2.5″, you don’t only have to use it for the van, you can carry it along with you if you’re an avid back country hiker etc. When signing up for the tracking service there are two options. A Basic Service which is $99.99 a year and an Extreme Tracking Upgrade which is an additional $99.99 per year. The Basic Service sends a tracking signal every 5 minutes. The Extreme Tracking Upgrade plan will send a tracking signal every 2.5 minutes. You would think tracking every 2.5 minutes would be nice and worth it. Well I for one tried it and have found that it drains the internal batteries fairly quickly which also means it may be an excess burden on your auxiliary battery system if you decide to hard wire it into the van. After using the 2.5 minute tracking for about 6 months I’ve decided to switch back to the cheaper 5 minute tracking of the Basic Service. 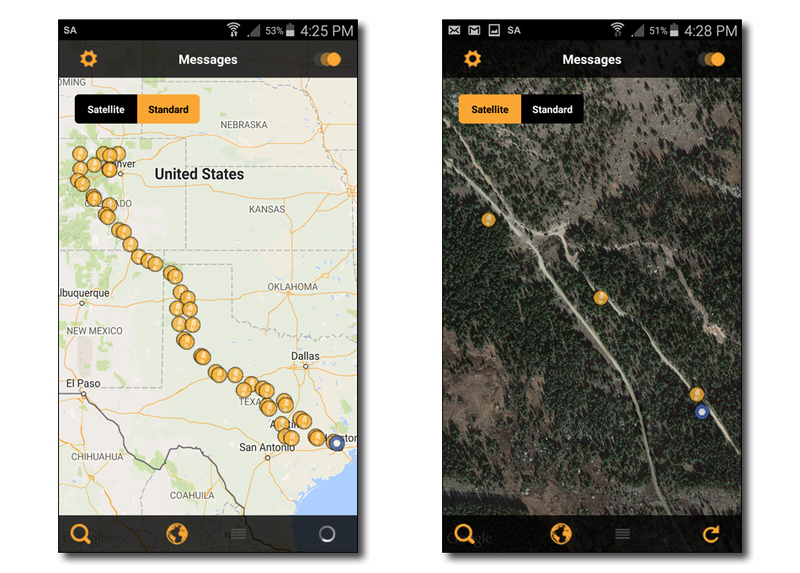 The free Spot Trace App is available for Android and iOS devices. The app screenshots in this article are taken from the Android version on a Samsung Note 3 phone. You can view the maps in map mode or satellite mode. 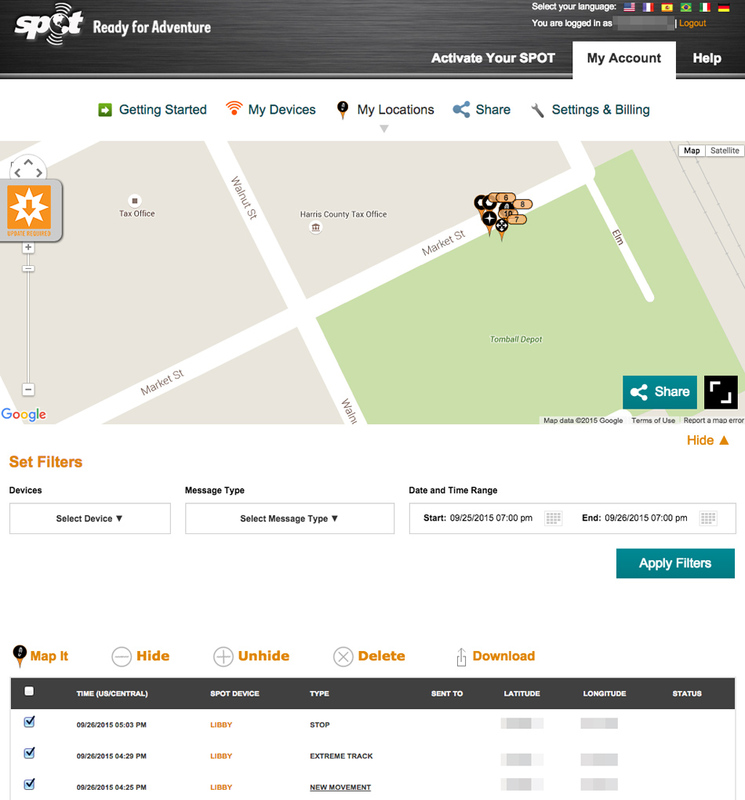 You can filter out GPS waypoints by dates or list them out as shown. Lots of options within the app which is nice. 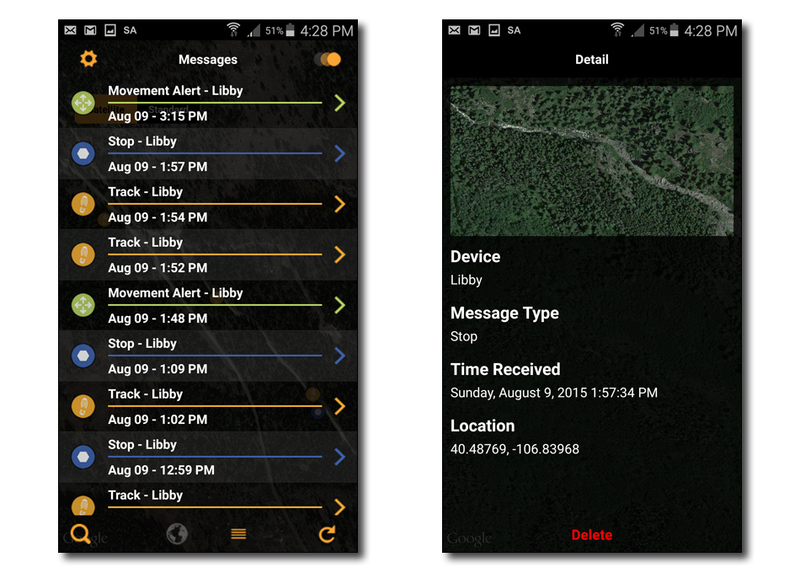 Three types of points are mapped: Movement Alert, Track and Stop. Movement is when the unit/van has been at rest for a period of time and then moves. Track is a way point as the device/van is currently moving. Stop is when the device/van comes to a stop and has not moved. All three are tracked and shown in detail within the App itself. When setting up your account you can choose to have notifications texted and/or emailed to you from the device. I have both options selected and this is a sample Text Notification on the left and a Email Notification on the right. The system will notify me when the vehicle has moved. Regardless if it’s being driven, towed or pushed down the street. 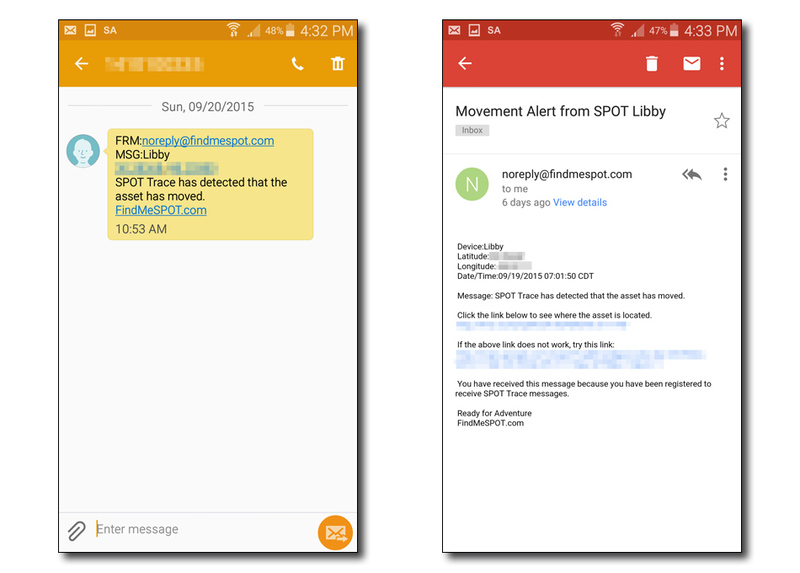 As soon as the SPOT Trace detects movement it will notify you. Notifications include precise GPS coordinates which have been purposely blurred out in the images below. The website interface is very nice as well. 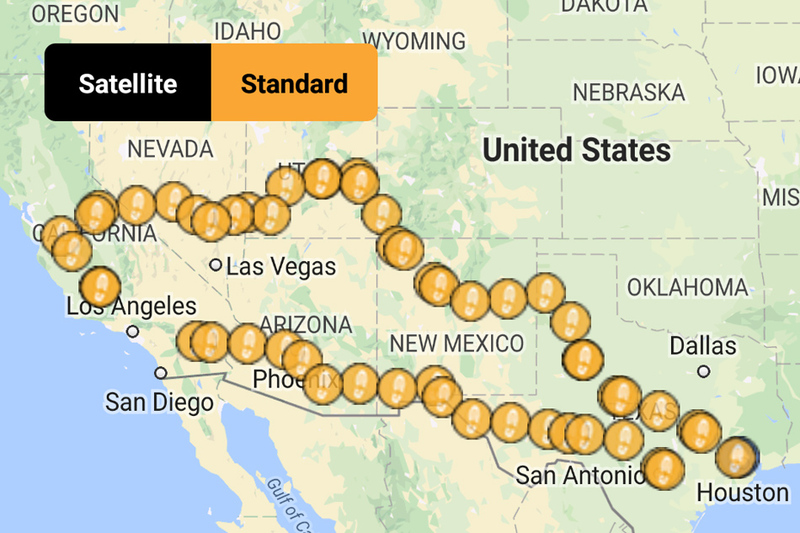 I very rarely use the website itself for tracking my van. It has all the same features that the app has. 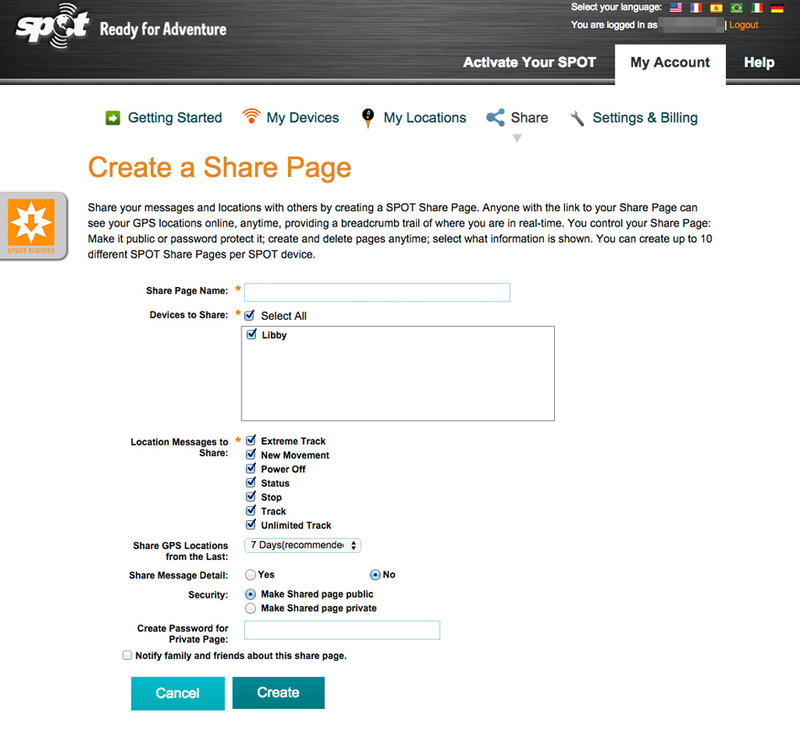 One the coolest things about the device and the website is that you can create a Shared Page. For instance this past August I traveled to Colorado with a bunch of friends. They made the trip on Dual Sport motorcycles and I traveled in my 1987 Vanagon Westfalia. I knew since we planned to do a ton of back country roads that we may not have cell service for quite a bit of the days. I wouldn’t have cell service but I would still have GPS way points from my SPOT Device since it’s satellite based. I made a Shared Page, sent the link to the guys on the trip so they can forward it to their wives so that at any point in time if they couldn’t reach us they could simply go online and see where we’re at. This gave our loved ones the peace of mind that we were ok even if they couldn’t get in touch with us. Pretty cool huh?! 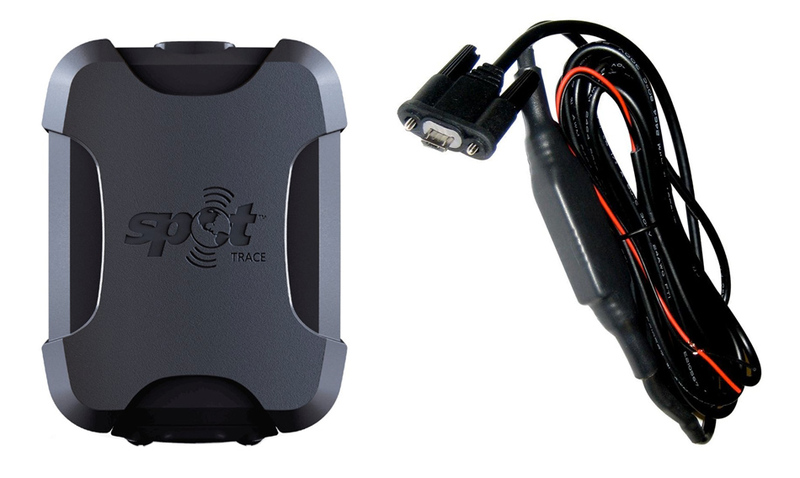 All in all I highly recommend getting a SPOT Trace tracking device for your van. It’s a very small price to pay to ALWAYS know where your van is and especially if it’s ever stolen. You could simply notify the police its exact whereabouts in order for it to be recovered. I know as a van owner having my van stolen is one of my worst fears. Having this device in my van is very comforting. I highly recommend every Vanagon owner to purchase and install one of these devices. I've seen too many vans stolen. There should not be any reason not to own one of these. Great write up! I’ll be getting in touch with you about this when I get mine here I’m sure of it! GPS & GSM Tracing, Alarm, Remote car power on/off, etc. That information shared by Mr. Longoria hits you in the guts. I want one to protect my classic VW. Hello sir. Agreed ^ ! Great write up. I ordered mine! My girlfriend’s Honda CR-V was stolen out of our driveway, mid-day on Christmas, with a full house of people.. We’re stepping up our security game, home and cars. Thanks again for the helpful posts! One question: if you’re out of cell range, how does it communicate the GPS location? Or does it? The GPS will always track with out cell service. You only need cell service if you’re using the app to see where the vehicle is. Hope that helps. Just scored a free SPOT device at the Sportsmen show. Only had to pay for subscription. Thanks to Abel it was on my short list…in fact I was talking about it to my wife on the way to the show and BAM, there was a guy in the booth giving them away. Thanks for the write up! I was goimg to buy one but some of the reviews for this on amazon are saying it won’t transmit through metal? Are you in a westy or tin top and have you had any issues hiding it in the cupboards? Hey Matt… I have a full Westy but several of the locations I’ve tried hiding it in all worked fine. No signal issues.. Thank you for this writeup. I live in the PNW and have been paranoid about my van being stolen. I have the club (that goes from the steering wheel to the brake pedal) but I know that won’t be enough. This is perfect. Just a heads up that the trace is 50% off at REI until 11/21/16.